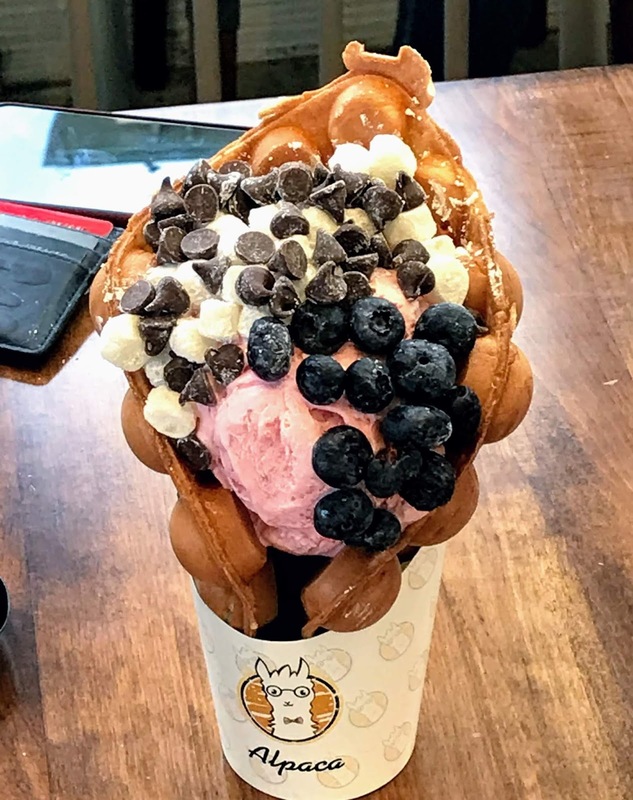 Just wanted to share this yummy waffle from the Wicked Waffle in Bethesda, Maryland. 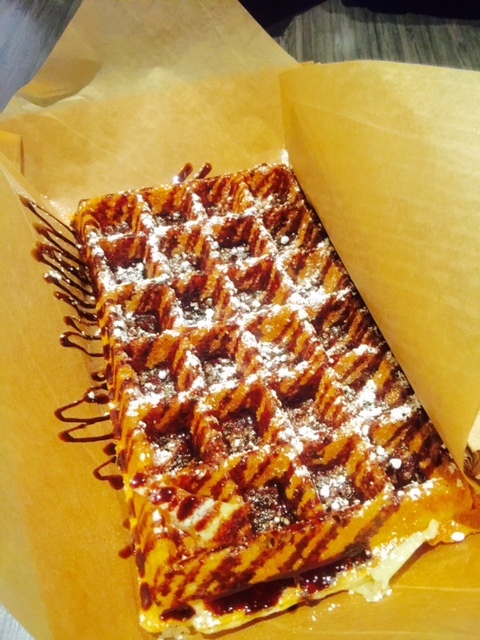 This waffle was steaming hot and had sugared flour and chocolate drizzle and had less than 200 calories! 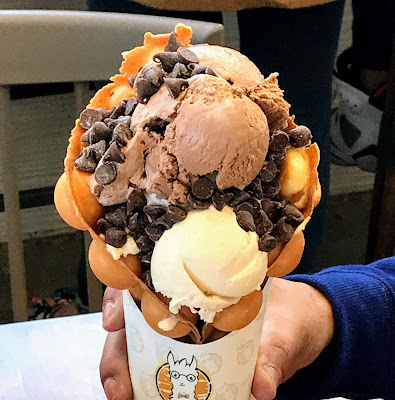 The Wicked Waffle has all sorts of waffle sandwiches...made fresh right there in front of you. Grilled cheese, egg and cheese, tuna melt, tomato with mozzarella and arugula, waffle french toast, also meat waffle sandwiches (but those not kosher).